Having discussed and thoroughly explained the various ways of transmitting a bed bug infestation, the ways to recognise and locate the bed bugs, we are now about to discuss the bed bug bites and the different ways people react to them, as they may be sometimes the key to increasing the infestation. As previously said, bed bugs are mainly nocturnal pests. They sense the amount of carbon dioxide exhaled by their hosts, as well as their body odours, and come out to feed when it is least likely that the hosts will notice them – during their sleep. Here comes the statistics, 20% of the people do not have a reaction to the bites, which means that they would not realize that they had been bitten (Doggett, 2009). This is how an infestation may increase and the host would not be aware of it until the signs are more obvious and in multiple places. As a consequence, the complete extermination of the pest would be more difficult. Majority of people react to the bed bug bites by having spots, similar to the ones that they would have if bitten by other pests. Often the reaction to the bed bug bite may occur up to 15 hours after the actual bite. This is what makes it difficult sometimes even for the GP to find exactly what the cause of the spots may be (Doggett, 2009). These spots do not require any treatment. There are also bed bug bites that do not only cause itchy spots. There may be symptoms like rash all over the whole body, spreading redness around the site of the bed bug bite, chest pain, shortness of breath, wheezing, dizziness, fever, lip or tongue swelling. If this is the case, then you must contact a health-care professional or visit the nearest emergency department. Identifying an infestation as early as possible is vital for the complete eradication of an infestation. 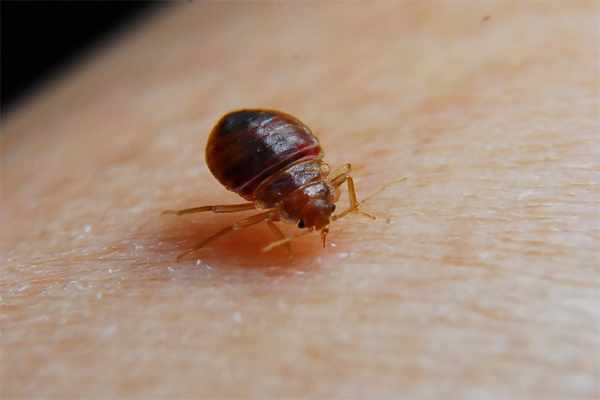 It would not only save you money from the fewer amount of treatments required, but it would also save you from the discomfort of the bites and all other unpleasant consequences that come with a bed bug infestation. Our company offers a range of premium quality services, tailored specifically to our customers’ needs, so that they can get the best results as soon as possible. If you suspect that you might have a bed bug infestation, please do not hesitate to contact us. We will ask you some questions to find out more about the situation and will send a BPCA-trained pest technician to carry out a thorough inspection to find out if an infestation is present and recommend the best treatment for your property. Doggett, S. L.. (2009). Bed Bugs, What the GP Needs to Know.Australian Family Physician. 31 (11), 880-884.